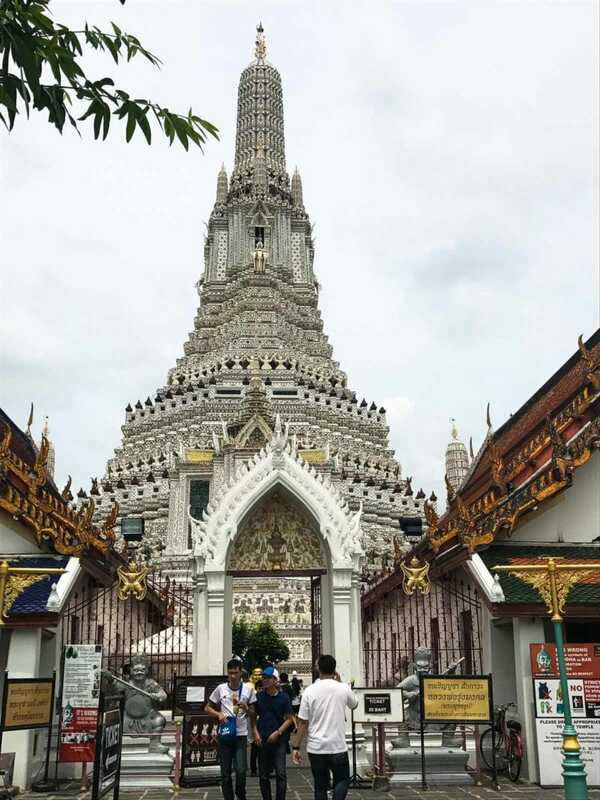 This 48 Hour Travel Guide to Bangkok is a recap of one part of our recent trip to Thailand – read part one about our missions experience with Light for Asia here! This 48 Hour Guide to Bangkok was not supposed to happen. When we signed up to go on a mission trip with Light for Asia, we booked a trip to be there with the ministry team in Pattaya, Thailand, for ten days. But thanks to the biggest airport fiasco I’ve ever experienced, our flights got messed up in an irreparable way the day we were supposed to leave. Amazingly enough, we ended up booking a completely new set of flights with a different airline company – one day before the flights were scheduled to leave – for less money than we had paid for the original set of tickets. Crazy, I know! The new itinerary had us coming back to the US three days after the rest of our mission team left Pattaya. So that left us with 3 days to kill in Bangkok. I was up for it, but prepared for it, I was not. Traveling by the seat of my pants goes way against the grain for this Type A planner. 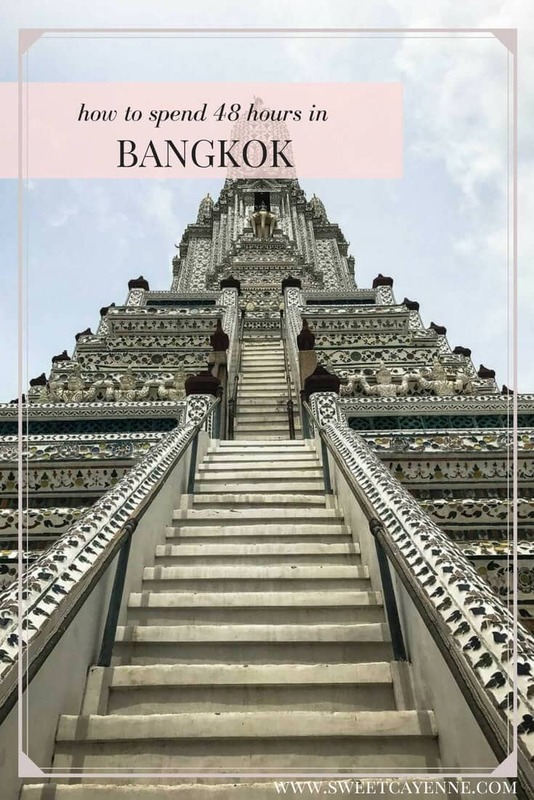 But that’s what we did, and this guide contains my recommendations for what to do with 48-hours in Bangkok. I know we were there for 3 days, but here’s the thing: Bangkok is a VERY large, VERY spread out city. It’s intimidating, most of it is very dirty, and it’s just not a place that you want to kick back and relax. Navigating your way through it can be draining, but that doesn’t mean it’s not a place worth visiting. If you go to Thailand, definitely spend a day or two there. It’s exciting, and can be an adventure of sorts. 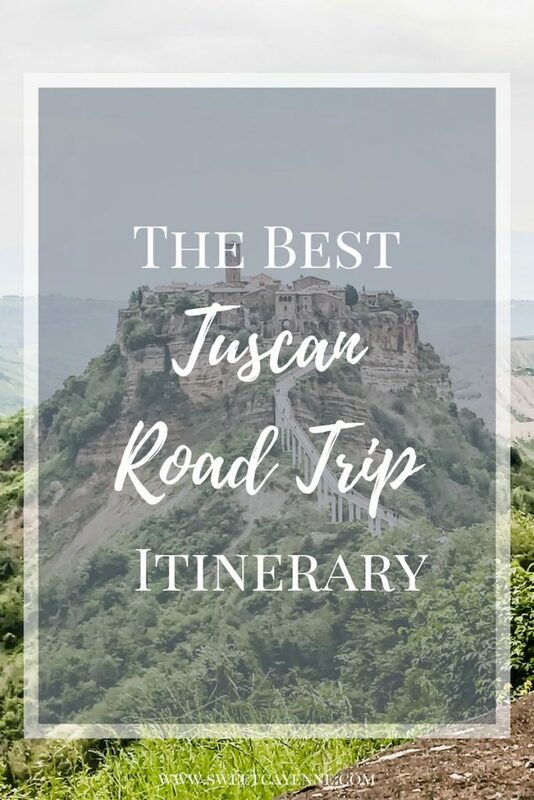 This guide recaps my favorite things from our time there, and each recommendation is definitely something I’d do/see/experience again if I had the chance to go back! 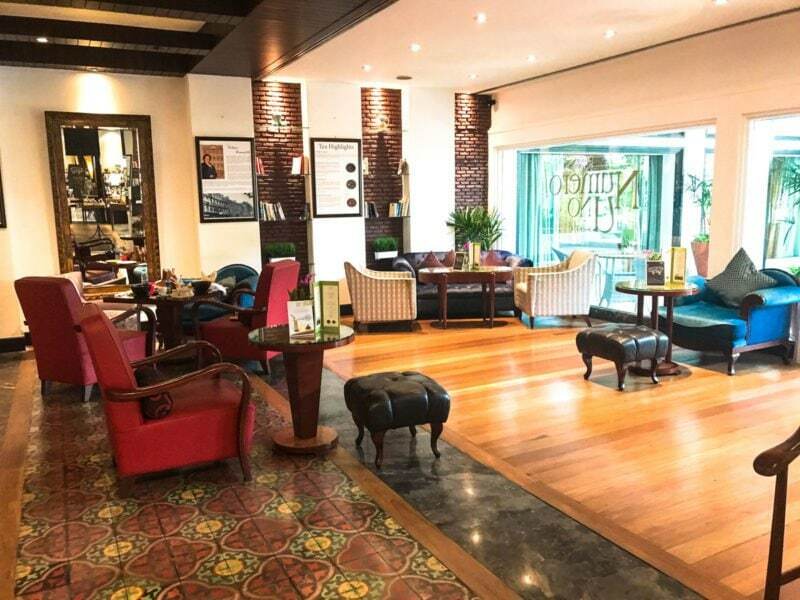 To my complete and utter shock + surprise, we found a killer deal on a 5-star boutique luxury hotel via Amoma. And by killer, I mean less than $100 per night. Yeah. I was scratching my head too. 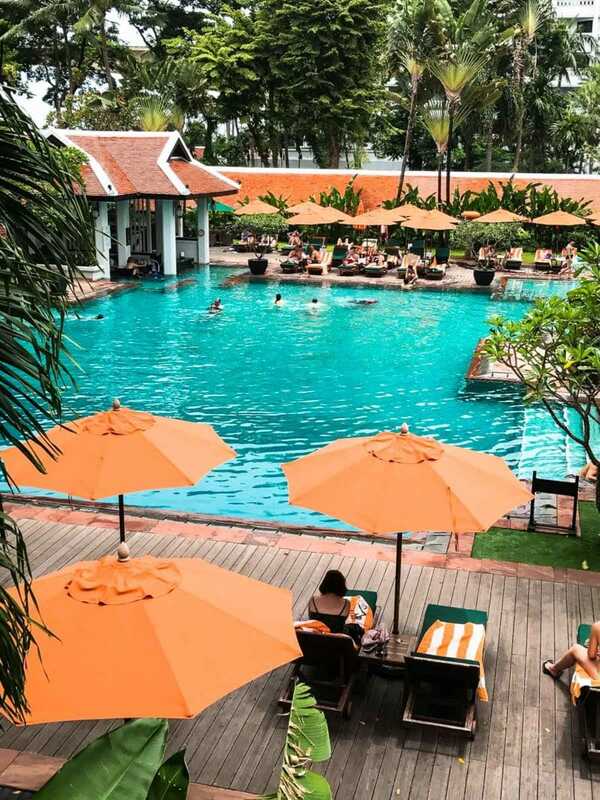 The Anantara Riverside Bangkok Resort is a stunning oasis of Thai culture and comfort. 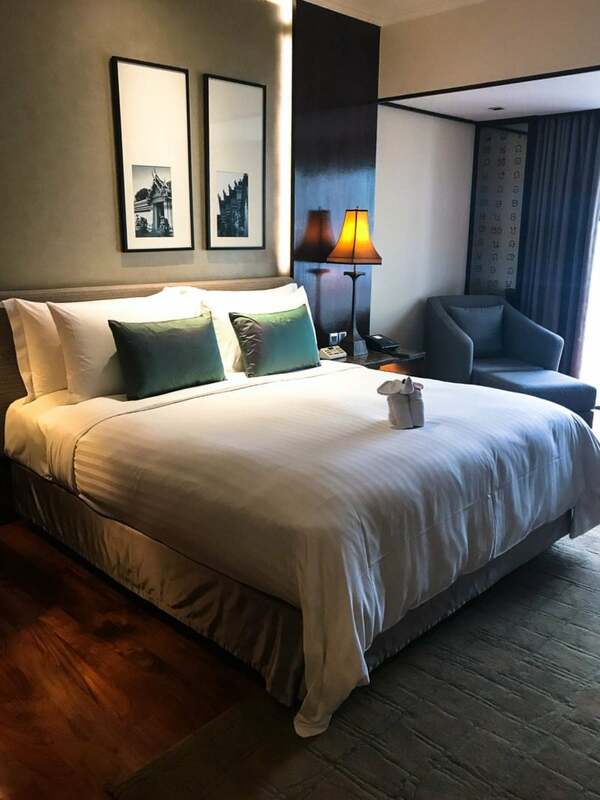 The resort has seven on-site restaurants, a free ferry-boat that takes you across the river, an amazing pool + spa, and simply gorgeous rooms. I was blown away by the elegance of the grounds here and the warm customer service. And the smell of the hotel itself is incredible – a delicious herbal lemongrass scent! 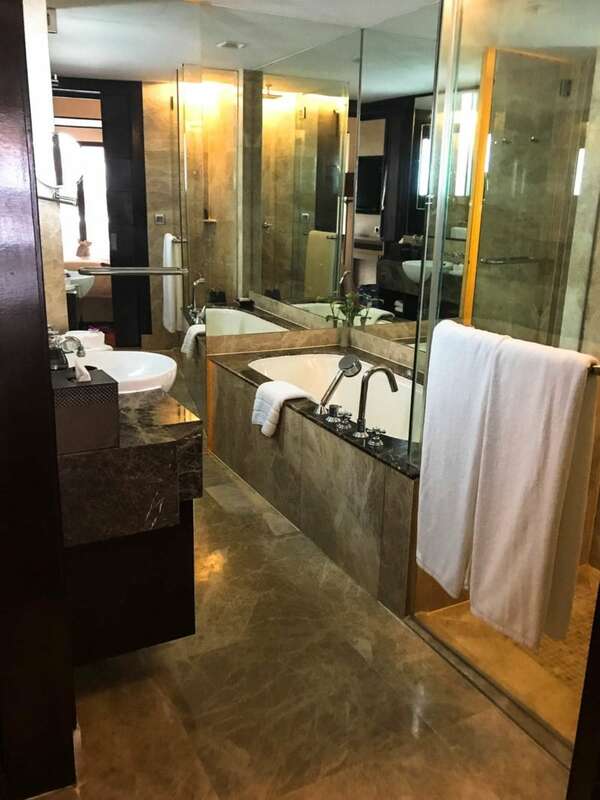 We took advantage of many of the amenities Anantara offered – we both loved the pastries at Numero Uno cafe, the classic Italian food at Brio, the relaxing pool, and our luxurious room. Our room had hardwood floors, sleek Thai decor, and literally the most comfortable bed I’ve ever slept in. 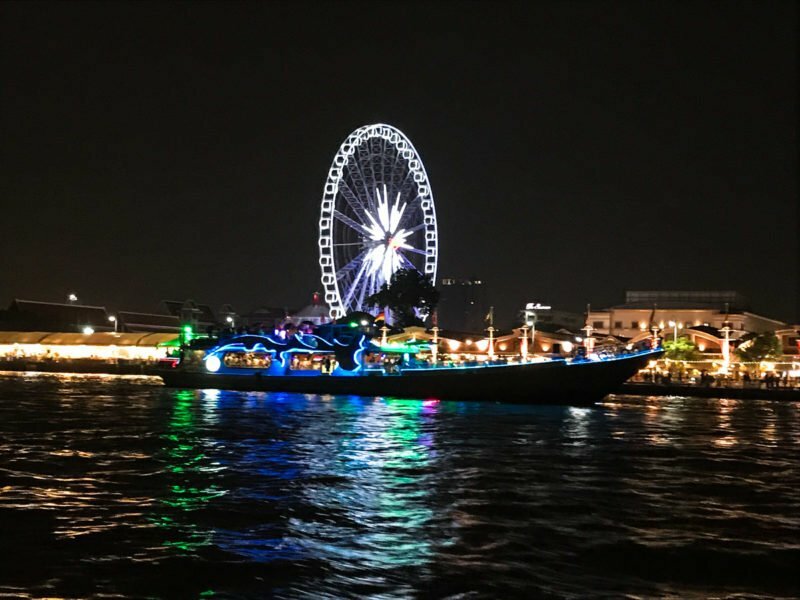 The ferry service was so convenient and easy to use – we took it several times across the river to the public pier and to the Asiatique night market. 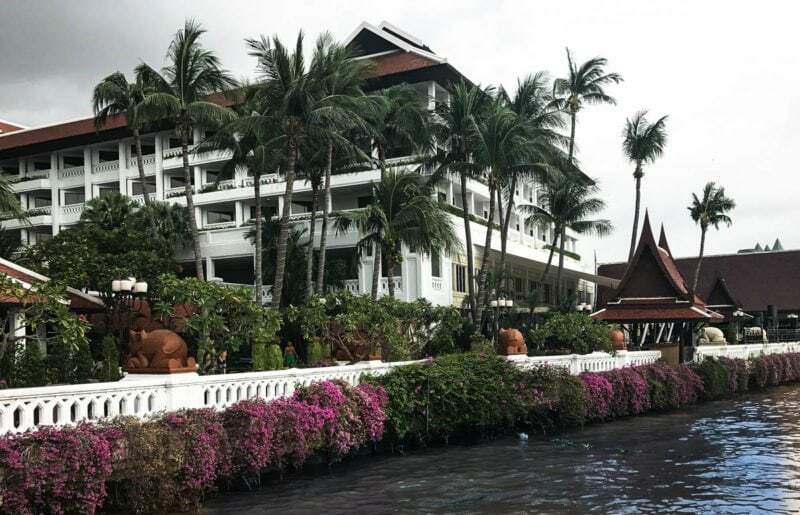 Our experience at the resort felt like a peaceful escape from the hustle and bustle of Bangkok, which is really what you will want/need if you plan to spend time there. 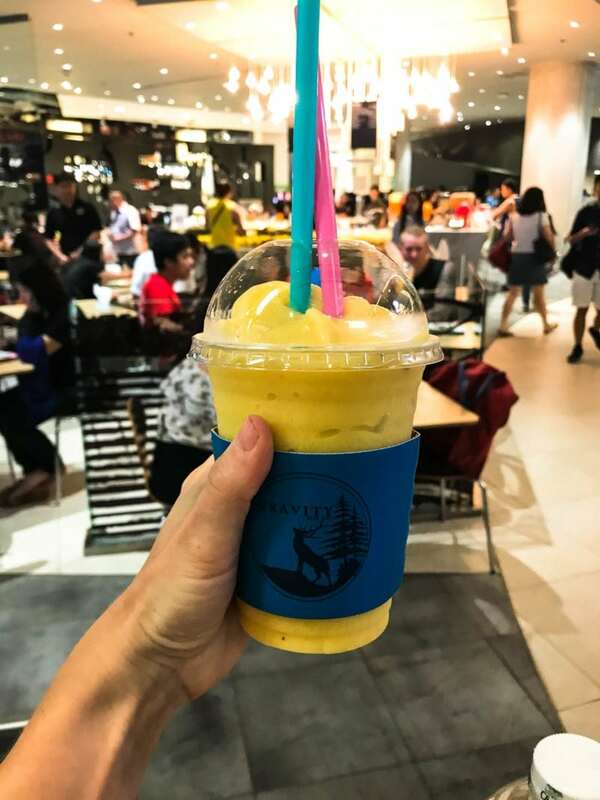 The hotel is also conveniently connected to a small shopping mall with a convenience store and several restaurants, so if you need a quick bite on the cheap or some drinks for your room it’s right there at your fingertips! If you spend any amount of time in Thailand, you will inevitably do a temple visit/tour of some sort. We attempted to see the Royal Palace + Temple, but were out of luck when we found out it would cost 1000 baht for both of us to enter (we only had 500 baht in cash and they don’t take cards). Honestly, I’m glad we didn’t. Seeing the Royal Palace was like trying to tour the Vatican in Rome – scads of people everywhere. There’s a strict dress code to enter, long lines, and suffocating heat when we visited. So we got back on the ferry and saw the much more approachable Wat Arun (Temple of the Dawn) just down the river a little ways. Overall, the temples were not my thing, but if you’re in Thailand, I’d recommend seeing one or two for the cultural aspect. 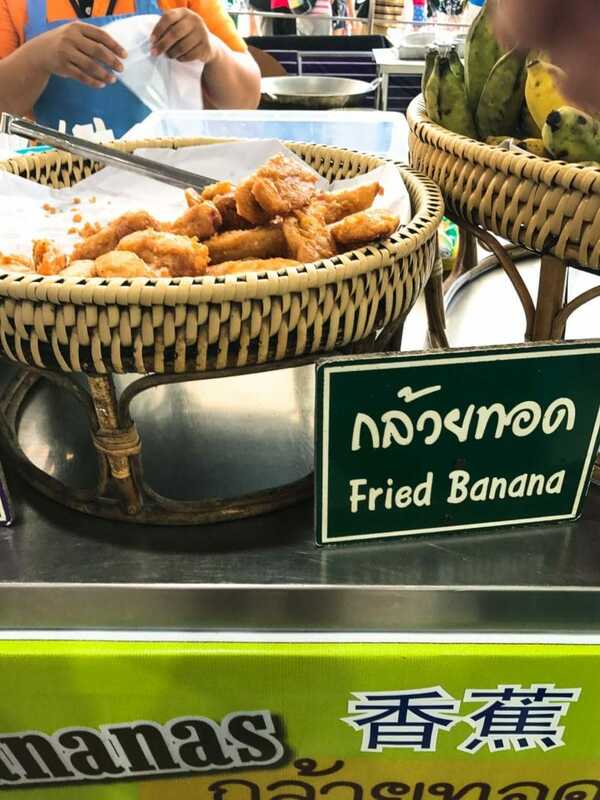 And speaking of culture, nothing says “Asia” like a good night market. Asiatique was a free ferry ride across the river from our hotel, and really was an experience that was not to be missed! I wish we would have had time to go twice. 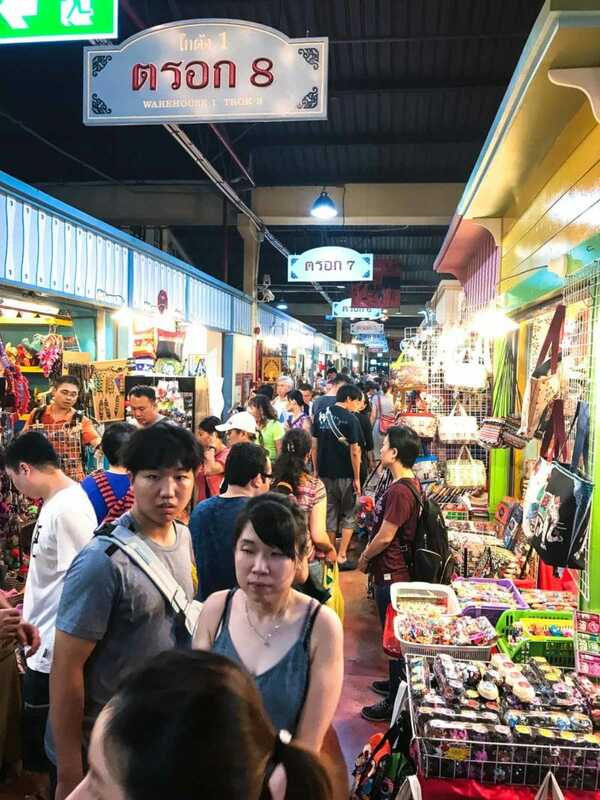 The night market is well-organized, clean, has great public restrooms, lots of delicious street food, and fun to be had by the whole family. It’s a great first night-market experience if you have never been to an Asian night market before. 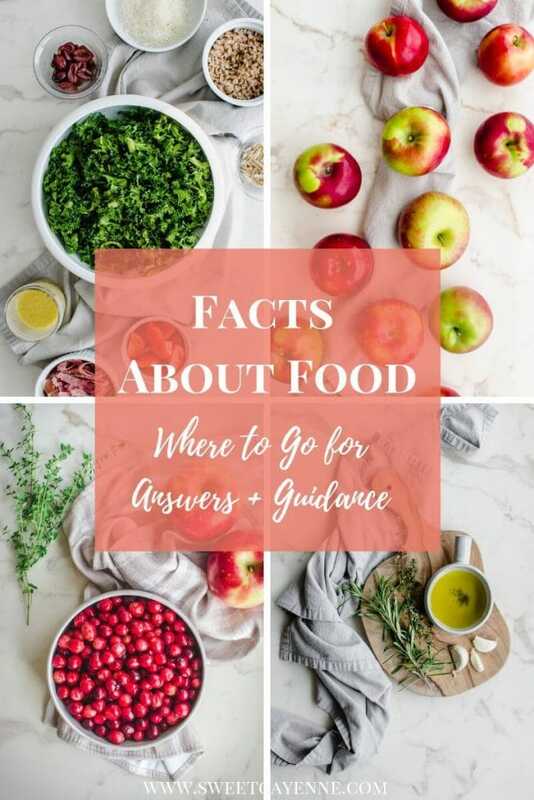 They can be a bit of a culture shock, particularly when it comes to food. Ryan and I both decided our Bangkok souvenirs would be some fun passport holders. 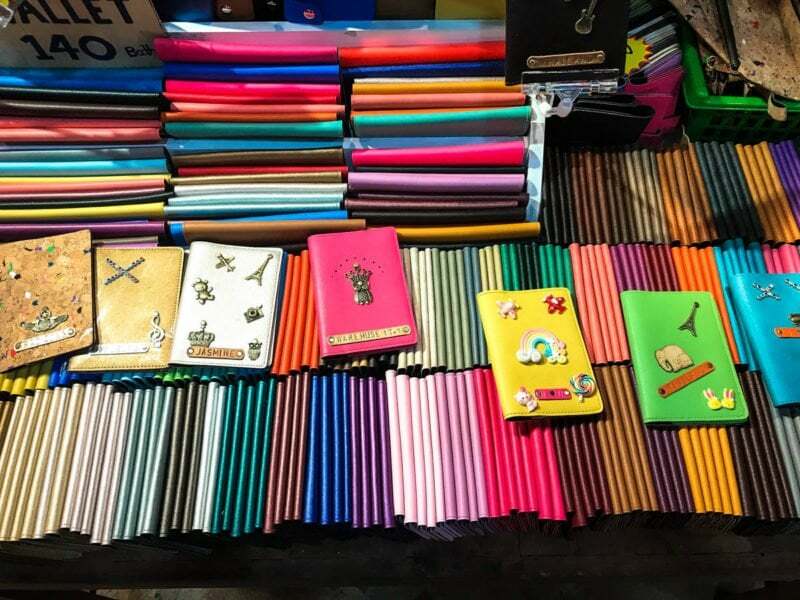 At Asiatique, many of the stands sold holders that you could customize with color, name engraving, and a fun charm that attached to the front of the holder. 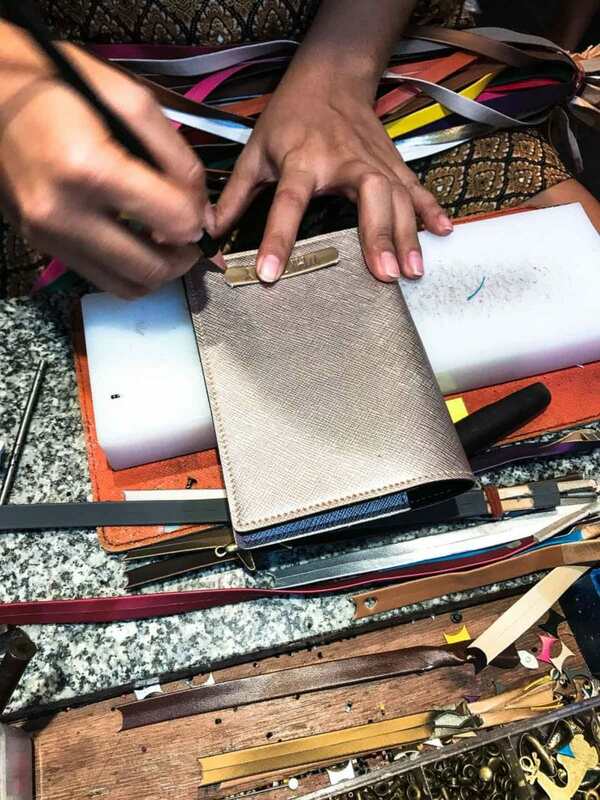 One engraved holder with a charm cost only $3.00, and it’s such a fun way to carry your passport! 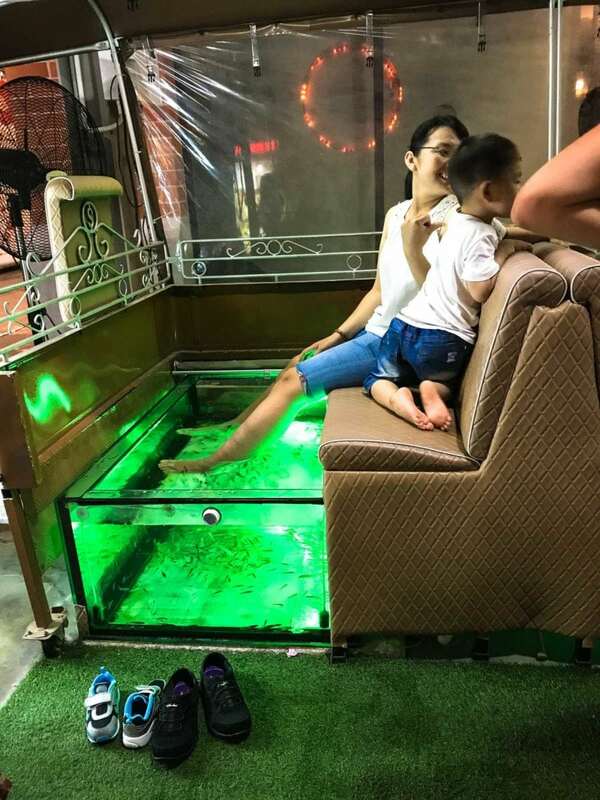 If you have 2-3 days to spend in Bangkok, I would HIGHLY suggest spending your last afternoon at a traditional Thai Spa. 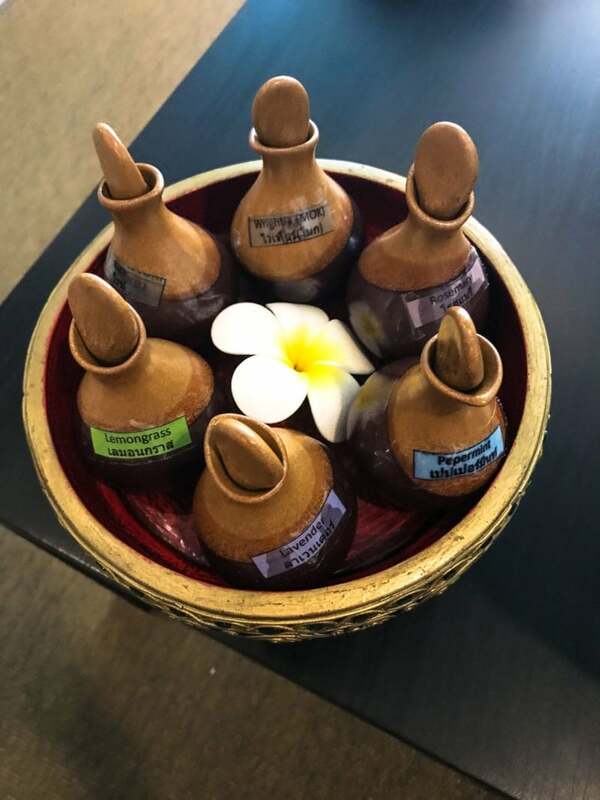 There are tremendous spa treatments to be had in Thailand, and you will pay prices that are a fraction of the cost in the US. Based on wonderful Trip Advisor reviews, Ryan and I chose Siladon Spa and scored a killer deal for a buy one, get one free couples treatment. 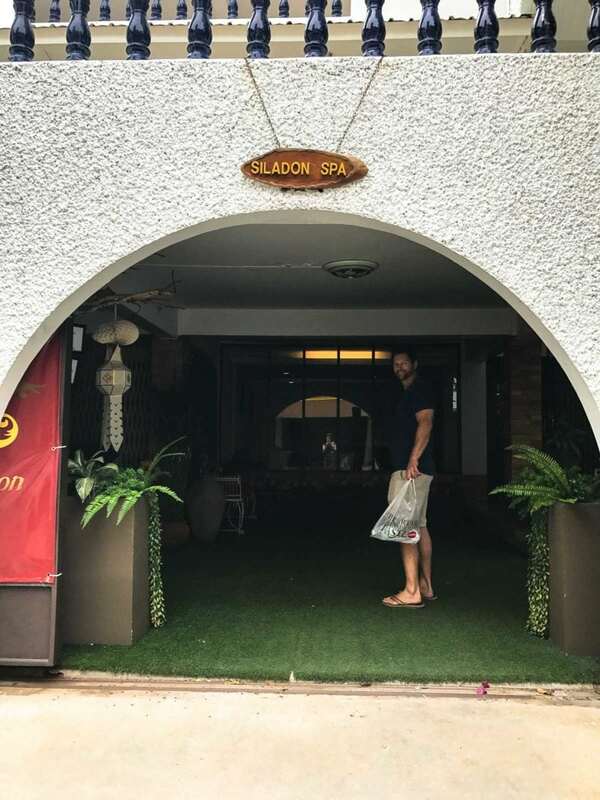 We chose the Siladon Refresh, which was a two-hour treatment that included a body scrub and one hour aromatherapy massage – all for just $72 (2400 baht) for both of us! The staff at Siladon were so kind and professional and made us feel really comfortable. The spa was simple in the decor, but very clean with a calming atmosphere. I loved that they let us choose our aromatherapy scent. I left the spa feeling the most refreshed/relaxed and wished I had another day to go again! 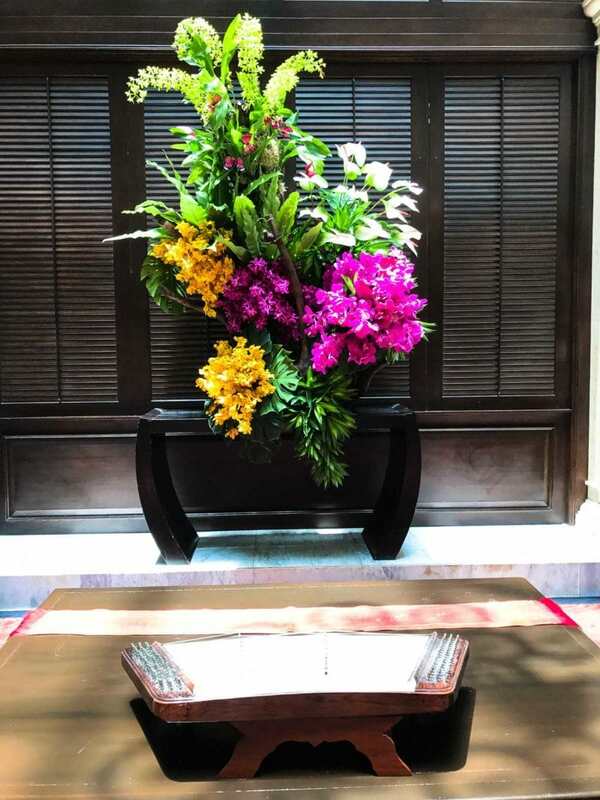 Restaurants in Bangkok are all over the place and you will likely travel a long way to get to various places. 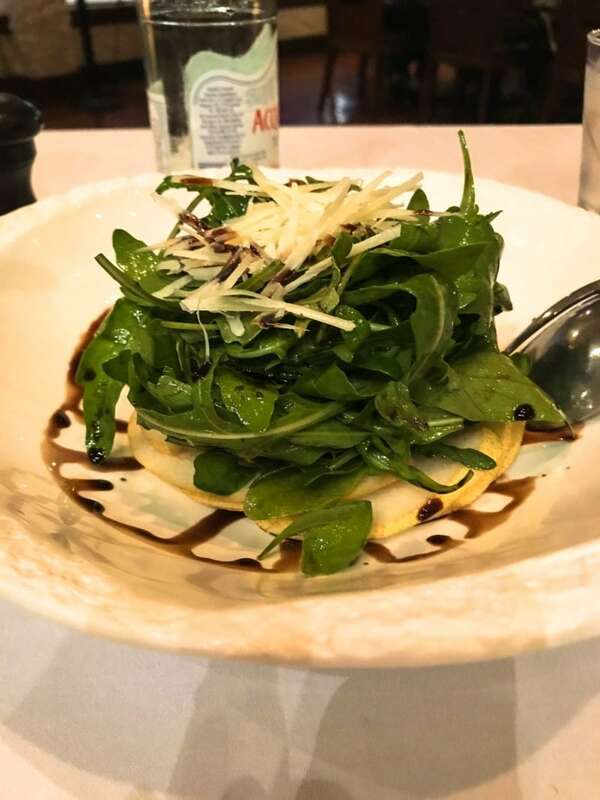 We kept things simple and ate at the resort restaurants on the Anantara property and in the adjoining mall. 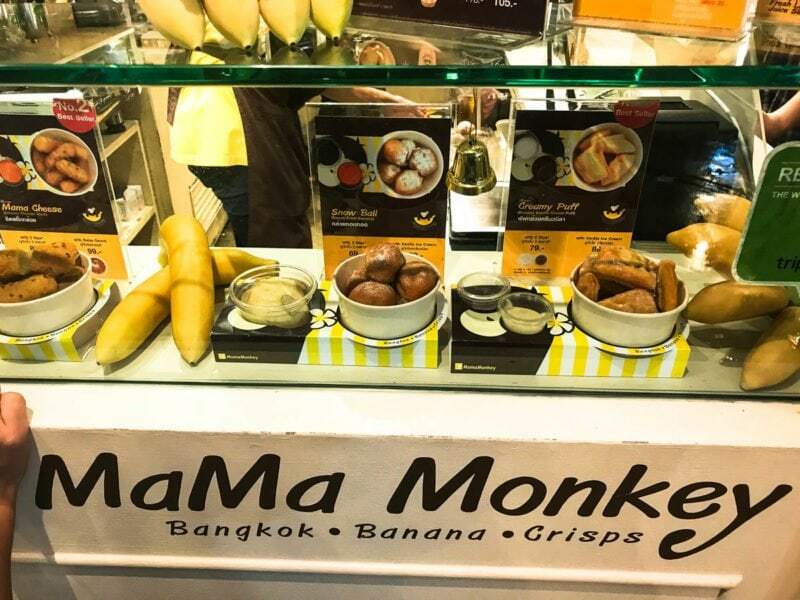 But the one time we did venture out to eat, we went to the world-renowned gourmet food hall in the Siam Paragon shopping center. 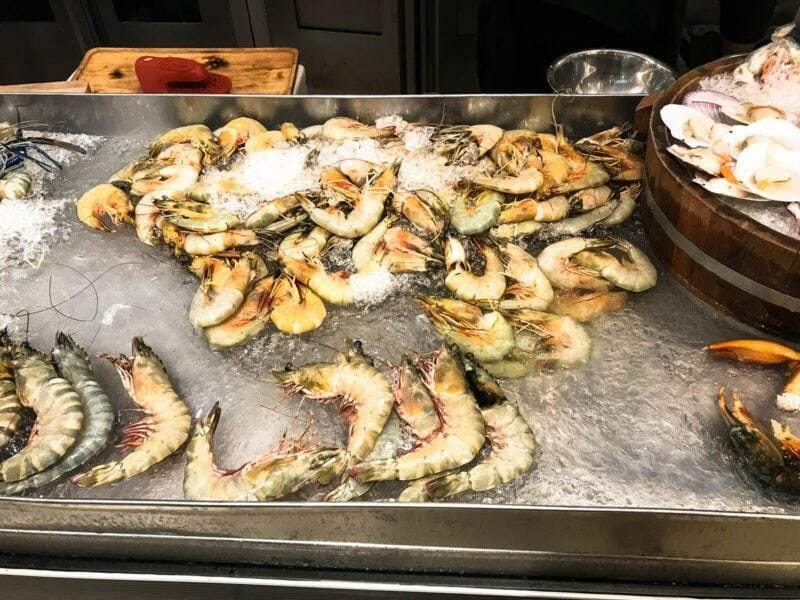 This is basically Asia’s version of La Grande Epicerie in Paris, and both are nothing short of breathtaking if you are a foodie. 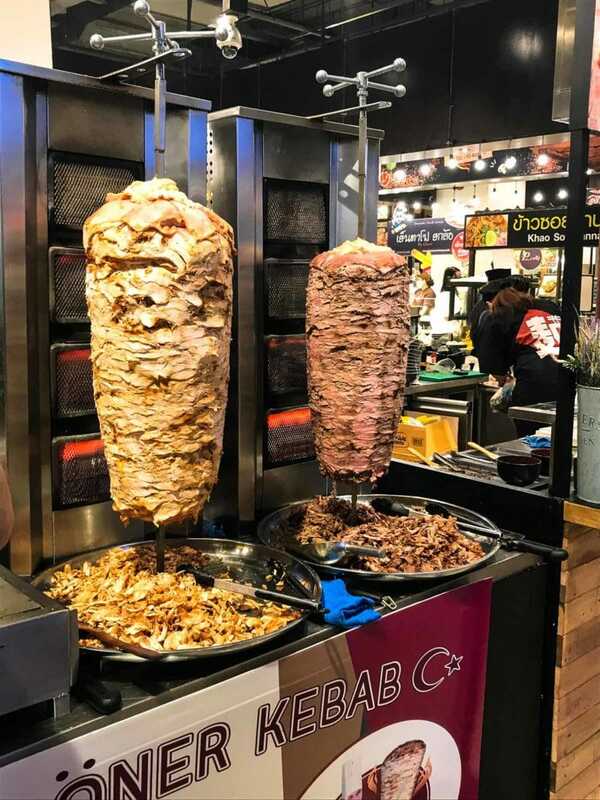 Here you will find a selection of practically any type of food you could possibly want – prepared right before your eyes with the freshest ingredients. 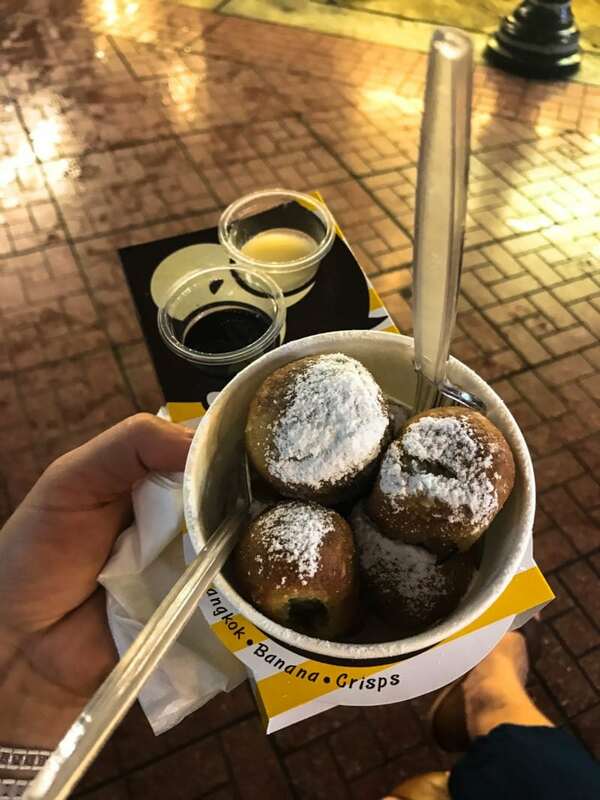 We were craving some fresh and flavorful street food, so we chose some amazing gyro wraps, mango banana smoothies, and some fresh fried bananas for dessert. 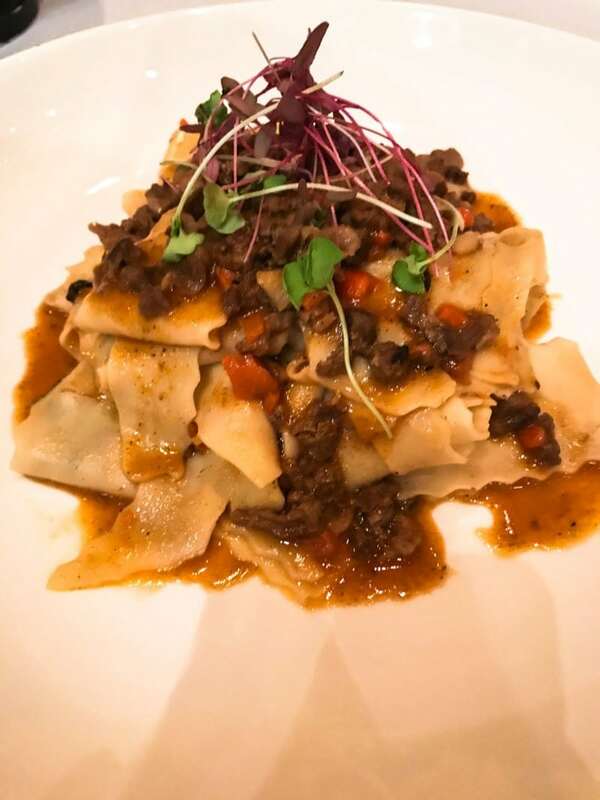 It was a daunting choice though – we could have definitely eaten every meal at the food hall for an entire month and still not tried everything. 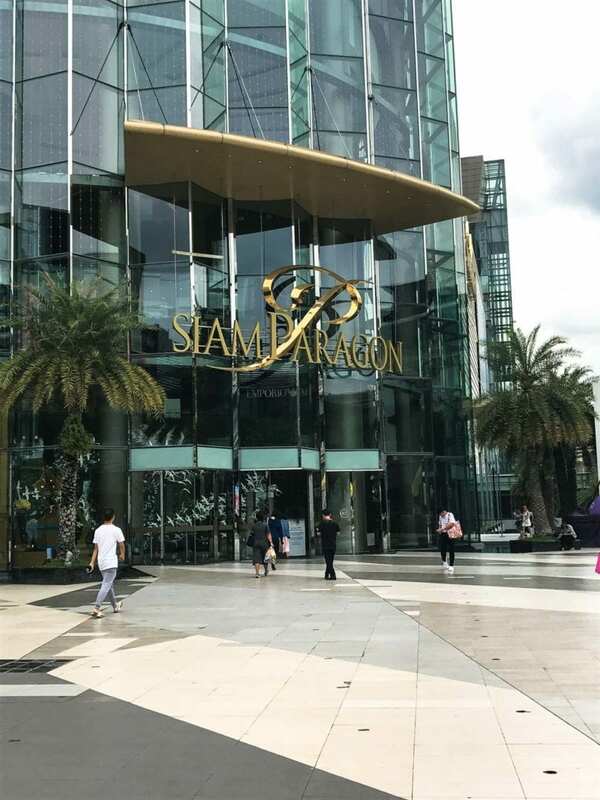 Siam Paragon is very easy to access via the SkyTrain tram system and boasts state-of-the-art movie theaters, luxury car showrooms, and an outstanding selection of stores. It’s a great way to spend a hot day indoors and get a taste of a cutting-edge shopping experience! Have you ever been to Bangkok? What did you do there? 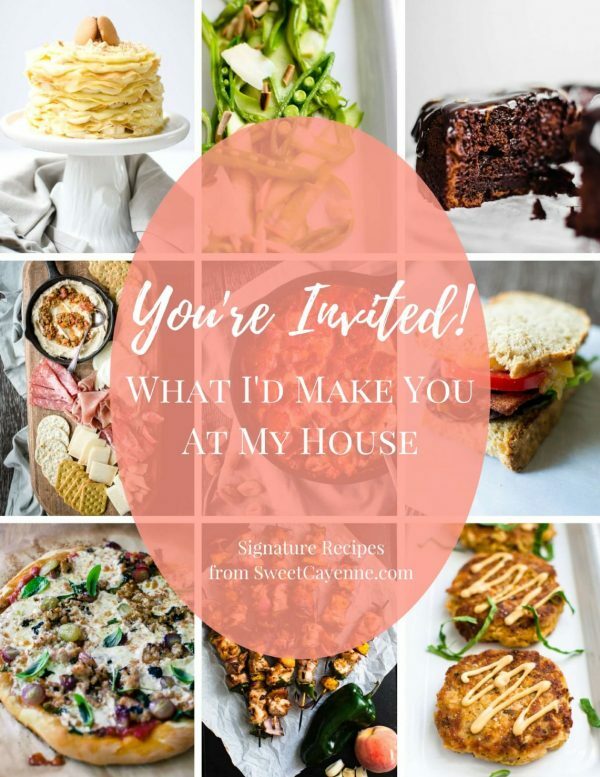 I’d love to hear about your experience and recommendations in the comments below! If you love Thai food, definitely give my 30 Minute Green Curry or Mango Rice Pudding with Thai Basil a try!